Have you been looking for a place to purchase high-quality essential oils? 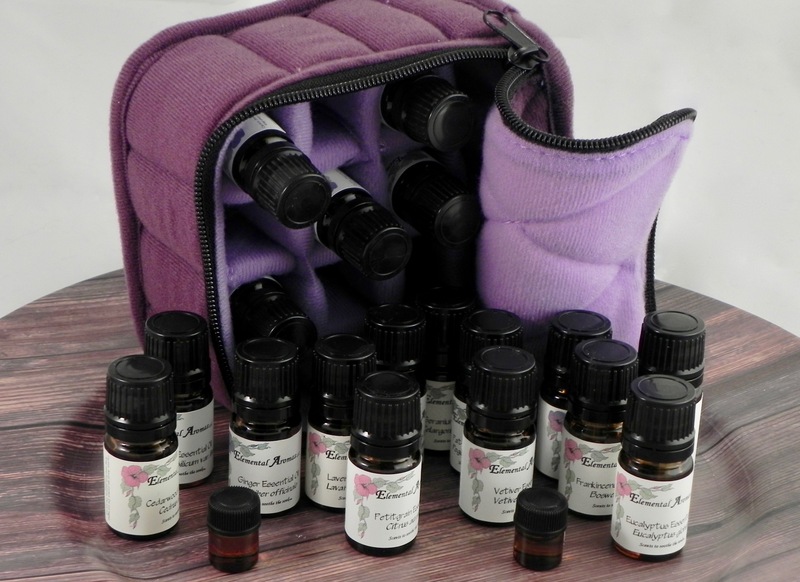 We at Elemental Aromas are proud to announce that we now sell a Kit of 20 oils. Often when I teach students ask me where they can find exceptional oils, and these students are then captivated by the oils we sample and use in class. So this Kit was born. Each essential oil comes in a 5 ml bottle (except for Neroli and Rose which are each 1 ml) and is produced from organic or wild grown plants. The oils are undiluted and come in a purple zippered case. The Essential Oil Kit contains Basil, Bergamot, Cedarwood, Clary Sage, Eucalyptus, Frankincense, Geranium, Ginger, Lavender, Lemon, Neroli, Sweet Orange, Patchouli, Peppermint, Petitgrain, Rose, Rosemary, Spruce, Tea Tree, and Vetiver, and sells for $195.